As mentioned before, kaya is a traditional name for coconut jam. Made with eggs, sugar and coconut milk, kaya is usually flavoured with pandan and usually consumed like a jam on breads. 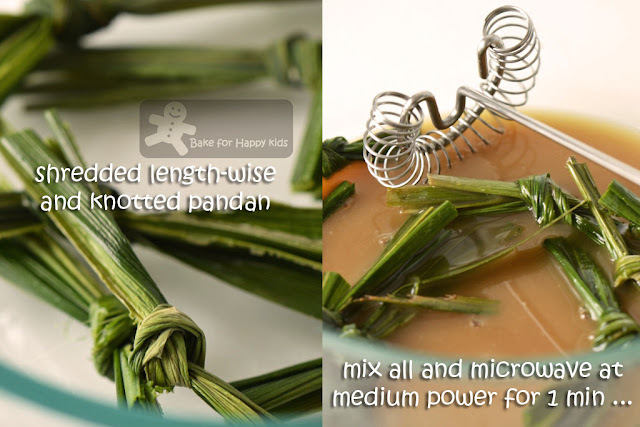 Depending on the amount of pandan added and the caramelization of its sugar, kaya can be either golden brown or green coloured. I have made the green-coloured version of kaya before and would like to make the caramel (golden brown) version for this post. I remember having one friend who proposed to me a business plan... During the days that I was a poor and thrifty student studying in Australia, my friend proudly showed me his homemade kaya, made using his student-accommodation microwave. He proposed to make jars and jars of them to sell but I wasn't keen. I didn't want to waste all my time standing in front of the microwave making kaya and so I tasted his kaya and then ignored him. - LOL! Now knowing that I have to cook kaya for at least an hour to achieve its ideal consistency, I begin to recall my friend's microwaving kaya idea and thought that it is actually brilliant! 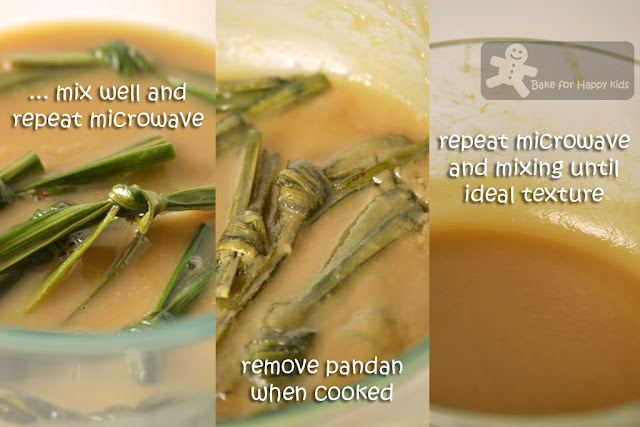 Here and here are the tips that you can find about cooking kaya using a microwave. Essentially, the trick is to cook the jam with short bursts of low microwave power and stir it frequently. Brilliant? Of course! All for the fact that I don't need to stand in front of a cooking stove for hours just to enjoy a small amount of freshly made kaya. You know... Good kaya must be enjoyed with good breads. 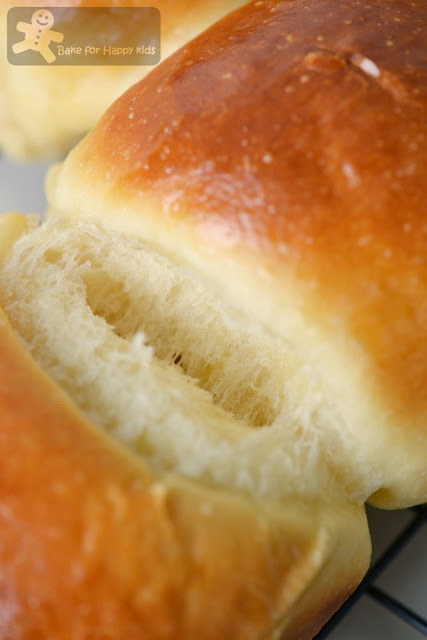 These milky buns are beautifully soft kopitiam breads that you wouldn't want to miss! I know it straightaway when I saw them at Esther's and Jeannie's post and they are truly as good as they can be. First, I made, shaped and proved these bread dough. Making this kaya is super-easy... First, I made two types of sugar syrups. My express kaya - Made in less than 15 minutes using microwave! Seeing this, I need to eat these soft and fluffy kopitiam milk buns now! No need to wait... I can eat these breads with freshly made kaya now! Using a breadmaker, an electric mixer or by hand, mix and knead ingredient A for about 10-15 mins. 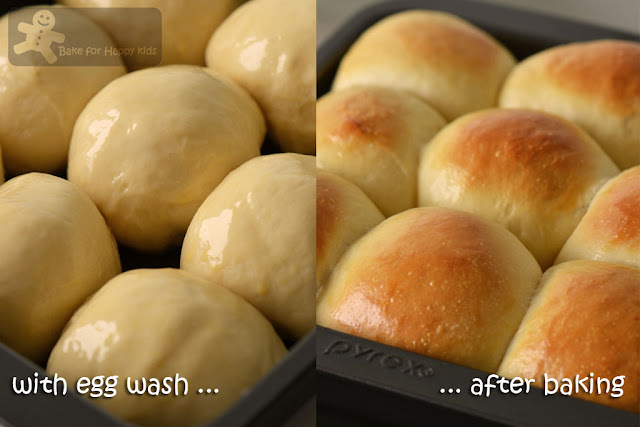 Allow the sponge dough to prove at least 4-5 hrs in room temperature or 12-16 hrs / overnight in a fridge. Using a breadmaker or an electric mixer, mix and knead both sponge dough and all ingredient B (adding butter last) together to form an elastic dough. Allow the dough to prove for 1 hr or until double its size. 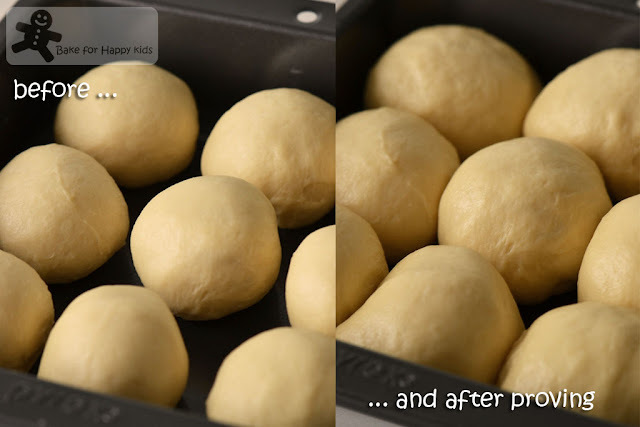 Divide dough equally into 9 portions. Shape each portions into balls and place them into a lightly greased 20 cm square baking tin. Allow dough to prove for 1 hr or until their size doubled. Pre-heat oven at 160°C or 150°C fan forced and bake for 15 mins or until golden brown. Allow buns to cool completely on wire rack before serving. 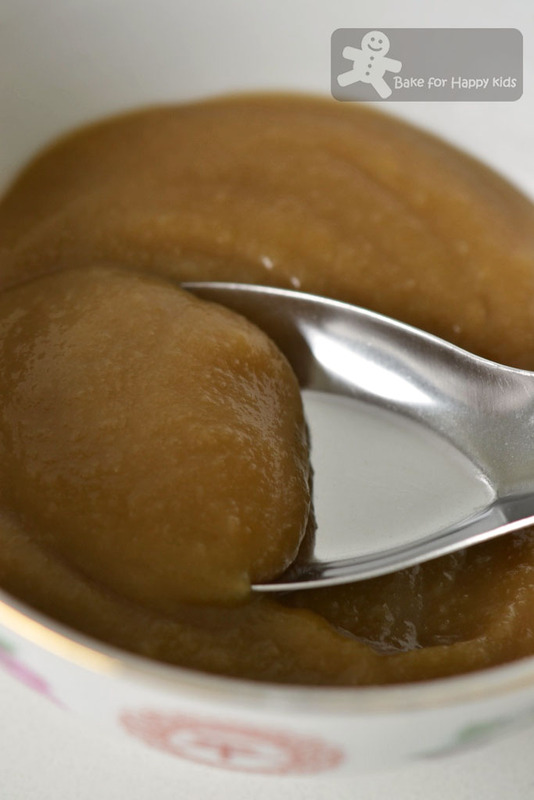 Dissolve brown sugar in 1 tbsp or any minimal amount of boiling water. Allow mixture to cool slightly. Mix caster sugar with coconut milk in a microwavable bowl, whisk until sugar dissolves slightly. Microwave coconut milk mixture for 1 min with high power. Remove and stir. Repeat this microwave step for 1 min with high power, remove and stir until sugar has completely dissolved. The mixture should be hot but not boiling. Then, add brown sugar mixture and pandan into the coconut milk mixture. In a separate bowl, beat egg until combined. Pour egg mixture through a sieve to remove bubbles and also make sure that the egg yolk and white are properly combined. Microwave the mixture again on medium power for 30 secs. Remove and stir. Repeat until kaya develop a slightly translucent texture with a deeper colour and the mixture become relatively thick. Discard pandan leaves once they are cooked. Repeat microwaving and stirring step until kaya reaches its ideal smooth and creamy texture. Cool completely before store in a clear jar and keep in the fridge. good idea to use microwave to make kaya! 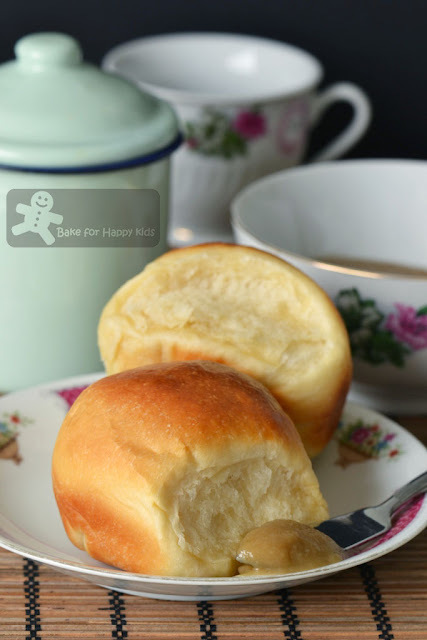 Hi Zoe , the rolls is so fluffy , light and yummy , thanks for sharing :). yes, you are right..to cook kaya on the stove, you will have to stand there for an hour or more and keep stirring it. I cannot remember if i have come across making kaya using microwave but i'm actually reading the method now. Glad to know it can be done the express way! I would like to have a little bun and this kaya, looks sooooo good! Love the fluffy bun spread with traditional homemade kaya. I don't mind having this as breakfast everyday. I failed at kaya making twice, waiting patiently for your tutorial! Buns' awesome! That's a very brilliant way of making kaya! The idea of not having to stand and sweat in front of the stove for hours is very welcoming :) Pairing it with soft milk buns is just yummy! Hi Zoe, Nigella makes caramel sauce in the microwave too. 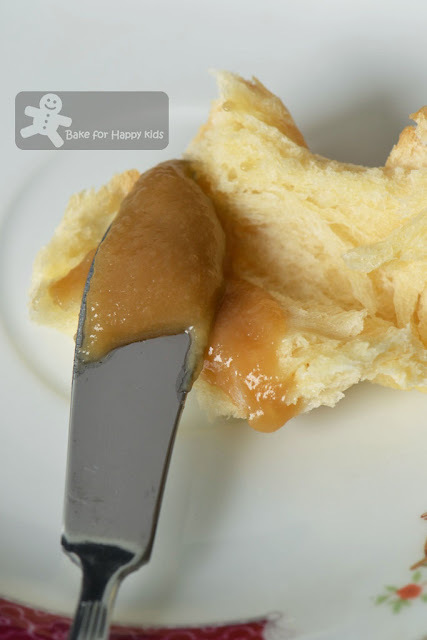 Wish I could try both kaya and caramel using the microwave but don't have one in our current home! Oh wow, I would love to have these fluffy buns with your home made kaya. Yum-yum-yum-yum! Though I'm not a big fan of kaya, it is the kopitiam buns that I fall in love with! Zoe, this kopitiam bun has been made by nearly all my blogger friends who knows making bread! And it is also in my list for a long time! Love to see them popped up so nicely in the pan! Awesome outcome.. Milk buns look fabulous.. Also the freshly prepared spread/kaya is making me drool! 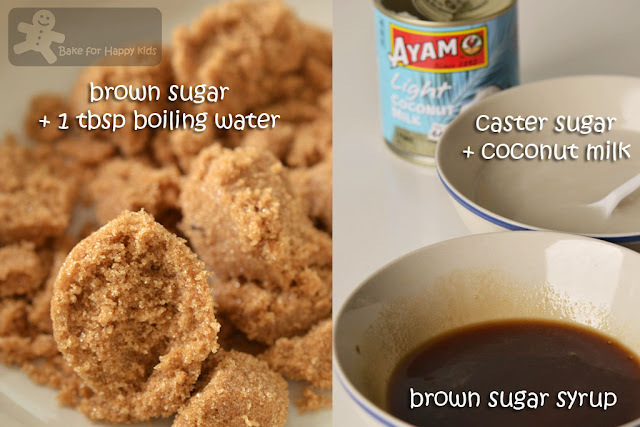 I had no idea kaya can be made so easily:) ok, am gonna try this very soon. We eat kaya almost every week haha. Its our staple with bread. Hi Zoe, I like the consistency of your kaya. Looks smooth and very tasty. your kopitiam bun and kaya looks delicious! Both make me drooling and unresistable! I love the kaya colour. Think I can eat it by the spoonful.As usual,beautiful golden rolls. I haven't had coconut jam since my honeymoon! the buns look awesome and the kaya sounds delicious. would definitely try both sometime soon. Wow, lovely buns and delicious kaya! Making it in the microwave is a great idea. Especially when I only need a small amount! Thanks, will give it a try soon! What fun little buns with spread! Honestly, I wish I had some of these right now! The buns look so perfectly soft, and then to spread the caramel on them...heavenly! Brilliant..my dad loves kaya buns to bits. I will definitely try this out one day. Had no idea kaya-making could be this easy! 15mins kaya, I also want to make, hehehe..Thanks for the mentioned. Zoe, love this soft bun with the kaya spread. yummy. Lovely.. Love those pics.. They actually speak ! Hi Zoe, looking at your kopitiam rolls makes me want to bake some again, they were really delicious! Microwaved kaya? That sounds too good to be true, I have to try it out myself:D Thanks for the shoutout! Oh my, the buns look so soft and delicious, I'm actually craving for some now. The express kaya looks great too. How does it compare to the traditional method of cooking it? Maybe I should try using the microwave next time! Your buns looks soooo delicious. I have not baked bun before except for cinnamon rolls. I am not sure why? Yours look so easy to bake. Will book mark it. Thanks. According to most bread maker instructions, I will add the liquid ingredients first, then the rest of the ingredients including the sponge and do the butter and yeast last. Will update the order in this post. Cheer!